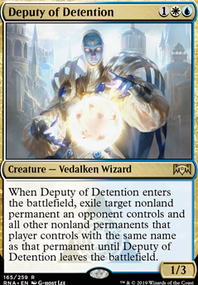 Counterspell , Frantic Search , Sundial of the Infinite (you keep your token copies), Stonybrook Banneret , Teferi, Mage of Zhalfir (great card), Vedalken AEthermage (find the wizard you need), Watertrap Weaver . Each of those cards costs $3 or less. 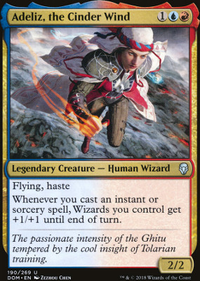 If you want to spend a little more, Glen Elendra Archmage is about $8 and is very good. Pump the numer of Adeliz, the Cinder Wind to 4, or at least 3. This is a beast and destroy the opponent if it stick on the board one turn. Howling Golem is meh imo. It could be replaced by Ghitu Journeymage as another 3 drop and dealing 2 to the face. Could swap Watertrap Weaver for Exclusion Mage. They are similar but can have a huge difference depending on your local meta. Could swap Aven Wind Mage with Wee Dragonauts. Both wizard, both 3 drop, but one say "ez gg win" when you cast 4 instant a turn. Get some Maximize Velocity / Maximize Altitude ? Easy trigger for Adeliz and allow you to get in easily. More suggestion Negate / Quasiduplicate / Radical Idea ..
All of those should still be budget friendly I think. Also it's just my point of view, you're 100% free to disagree. Good luck with the deck ! Let's get you some wincons, and fix that landbase. First: Landbase. Basic stuff, manarocks, and better land cards, and a touch of fetchlands to get us rocking and rolling. Then, guess what, you're playing green. 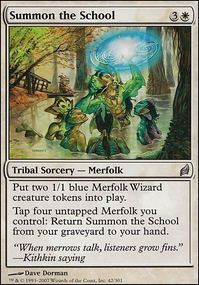 Congrats, you get the luxury of a vast array of tasty morsels called ramp spells, so we'll take advantage of that. 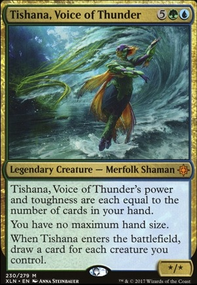 Next, let's look at capitalizing on your commander's strengths: Card draw. We'll add in card draw, and some hand size manipulation to help manage it, along with some ways to make use of all that mana you gain and cards you draw. 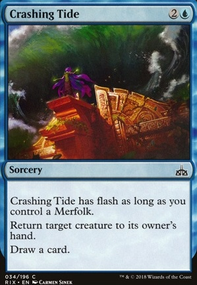 -Devastation Tide +Goblin Cannon (with your upcoming infinite mana/card draw combos, draw into this, then ping everyone for infinite damage and win, the ability stacks as many times as you pay the mana for it, before sacrificing itself). Other infinite combos you can look for are Sword of the Paruns or Umbral Mantle equipped to kydele if she's drawn enough cards. The possibilities are vast, just a matter of finding yourself a bit of room for those cards, which shouldn't be too hard. However I'm also aware of budgets, I know I've suggested a LOT of changes, many that you might need to purchase, and while the individual cards aren't too pricey, collectively it's a lot once you look at all the changes. But if you're personally looking to take your deck to the next level, I'll add some more blingy suggestions at the end of this comment. Update - First play through with this deck. As long as you're hitting your mana drops this deck is super fast and really fun. Due to this deck focusing on quickly building a +1/+1 counter engine and abilities that trigger unblockable attacks, drawing and hanging on to Essence Scatter, Negate or Unsummon is super helpful. 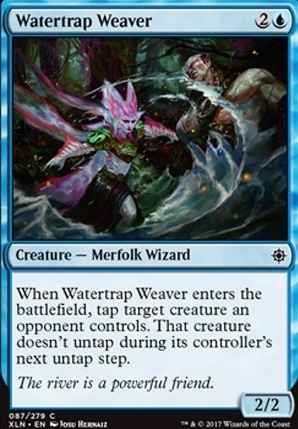 Also, Watertrap Weaver is a perfect setup card for the kill shot.